A Group is your research team's dedicated recruitment space on Call for Participants. A group gives your research team members 100 Study Pages so that they can recruit people for their research. These Study Pages are then collated in a dedicated space to showcase the great work that your team is doing. 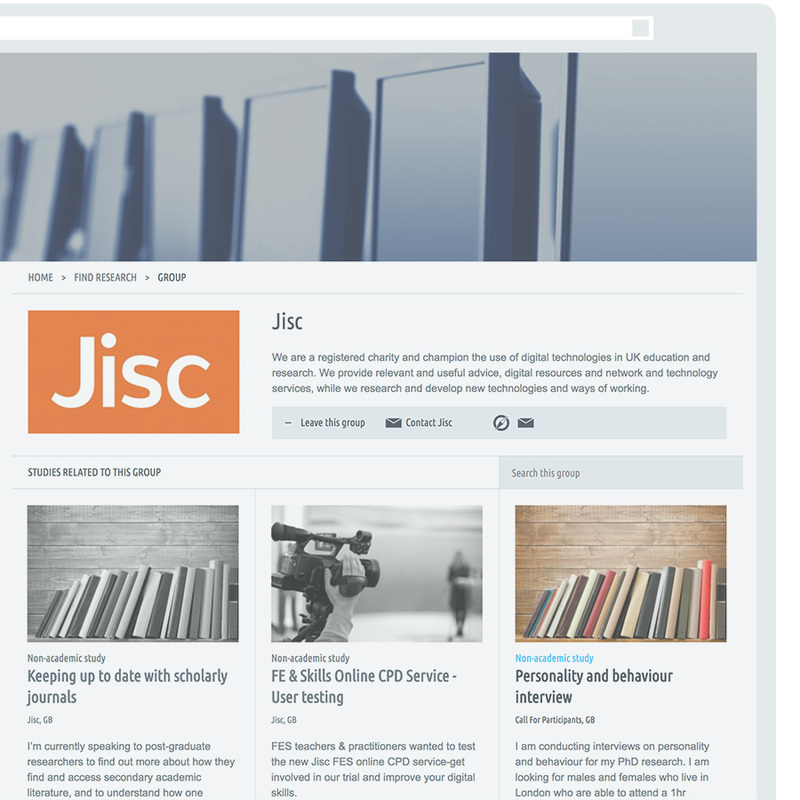 Your team's logos will appear on every member's Study Page, making sure your team is recognised for the work it does. Your group allows you to automatically add the people who work in your team. Visitors to your Group's page can also request to become members. You will have full control over who is in your Group. You can also give other members admin rights so that can help you with managing other users and content. Your group comes with detailed statistics that show you where people find your group and the Study Pages within. This info can help you educate your team on how to maximise their recruitment efforts. You will have full control over which Study Pages from your members are shown on your Group page and which are not. If you don't quite feel so hands-on, you can choose to let our system do this automatically for you. 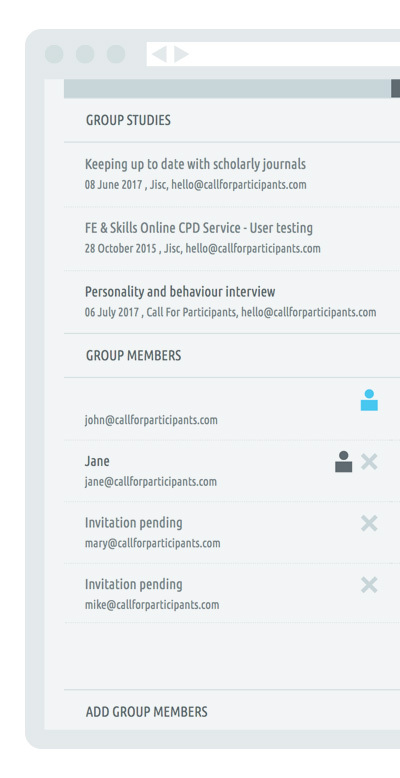 Unleash the recruitment power of your research team and sign up to a Group today. Groups form only a part of our product offer for academic organisations.